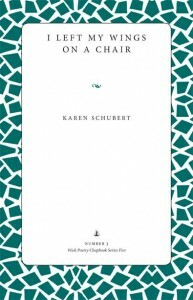 AuthorRecipient of a 2012 Ohio Arts Council Individual Excellence Award in poetry and a 2013 residency at Headlands Center for the Arts, Karen Schubert is author of Bring Down the Sky and The Geography of Lost Houses. Her work appears in AGNI online, MiPOesias, DMQ, Water~Stone Review, diode, Zoland Poetry, Artful Dodge and others. She currently teaches English at Youngstown State University.